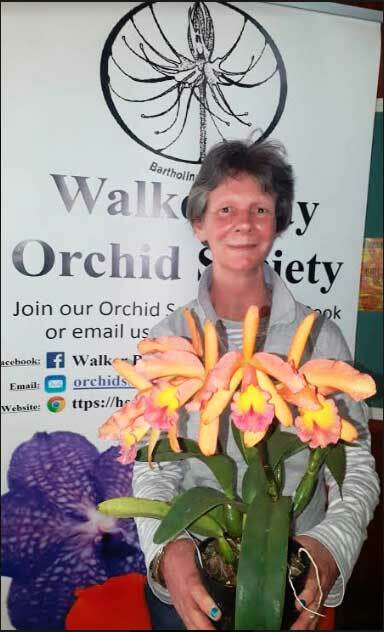 After a successful display by a group of growers, who had a passion for Orchids plants, at a Hobbies Fair held in the Sandbaai Hall, the feedback they received gave birth to the Walker Bay Orchid Society. The emblem they chose for the Society was the local indigenous orchid known as the Spider Orchid (bartholina etheliae). At these monthly meetings the plant table display has one surprised at the sheer variety of orchids grown, from vivid-hued cattleyas with glorious scents to the tiniest indigenous orchids. Every member whether a grower with a large shade house or one with a tiny courtyard are passionate about his or her plants bringing their contribution to the Society. It is important that this passion is kept alive and the knowledge shared among the members, new and old. The initial display at the Hobbies Fair became an annual display and in 2006 it was decided that the blooms needed to be judged and awards given. 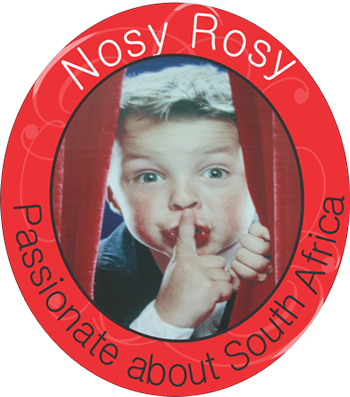 To this effect the South African Orchid Council (SAOC) was approached to provide qualified judges. The Show has been an annual event ever since, and has enjoyed a strong support from the plant-loving public. A mini orchid display is also held in the Checkers Centre, Hermanus in April/May to show of those orchids that bloom at this time of the year. The Annual Show is held in September at the St Peter’s Church Hall, Main Road, Hermanus. The Society once again will welcome all to come and enjoy the beautiful blooms, tea in the garden (weather permitting) and orchid blooms and plants for sale. If the show inspires one to buy a plant to try one’s hand at growing an orchid there are members available to provide all the information required. You never know until you have tried to grow these most rewarding plants how much pleasure they can provide. Looking for a new hobby try orchid growing, you’ll never regret it. 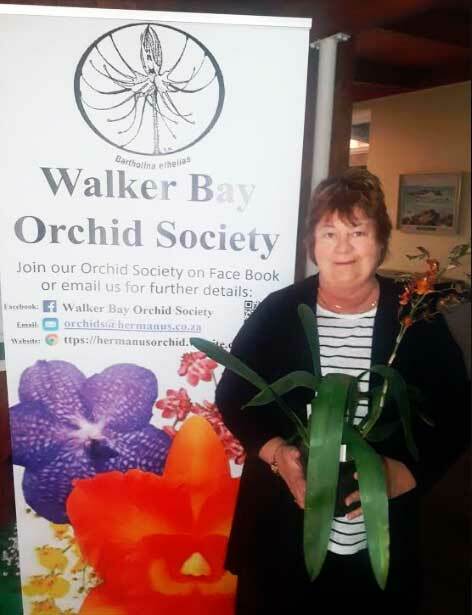 The lucky winners at the 2018 Walkerbay Orchid Show.